The main town of the Montafon - Schruns - is surrounded by the mountain ranges of Verwall and RÃ¤tikon. Schruns has a varied touristic offer. Here ends the railway â€œMontafonerbahnâ€ and is the starting point of the public buses to the other towns in the valley. â€œRather a nice little town, than a village, the first village of Vorarlberg which has become the first famous tourist attraction". The region, which includes the famous Hochjoch and Golm/Grabs ski and hiking regions, offers a wealth of sport and entertainment. 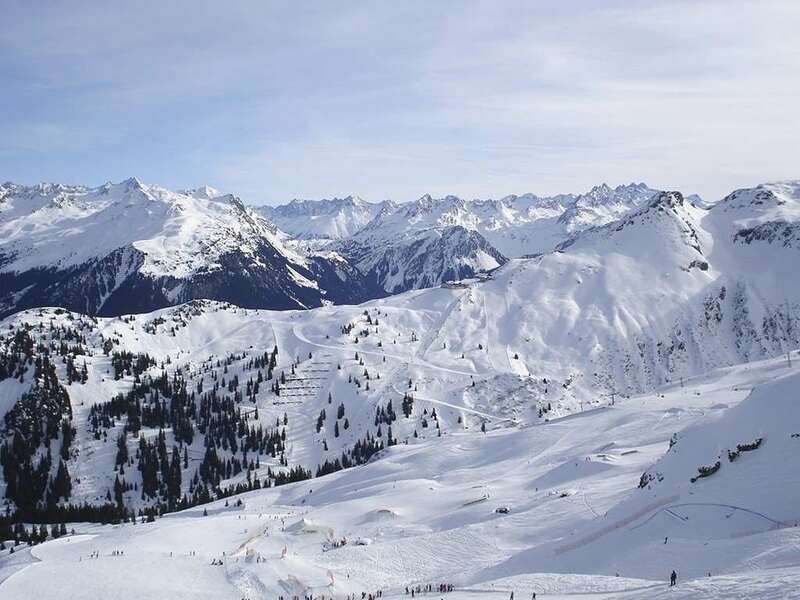 Montafon, which extends from Bludenz to the glaciers of the Silvretta mountains and the slopes of Piz Buin, is one of the largest ski areas in the Alps. The Valley, which forms the gateway to a mountain sports and high altitude ski region of infinite variety, can be reached easily by car with no mountain passes to negotiate. Winter transforms this Alpine valley into a fabulous ski arena. 62 cable-cars and chairlifts, 222 km of sign-posted and tended pistes, ski touring on Silvrettaâ€™s white glaciers, 100 km of cross-country skiing tracks, 290 km of winter footpaths (partly illuminated) and snow-shoe hiking trails, sports and natural toboggan runs (some floodlit), 10 ski schools, 8 ski kindergartens, make for a memorable and active winter holiday. 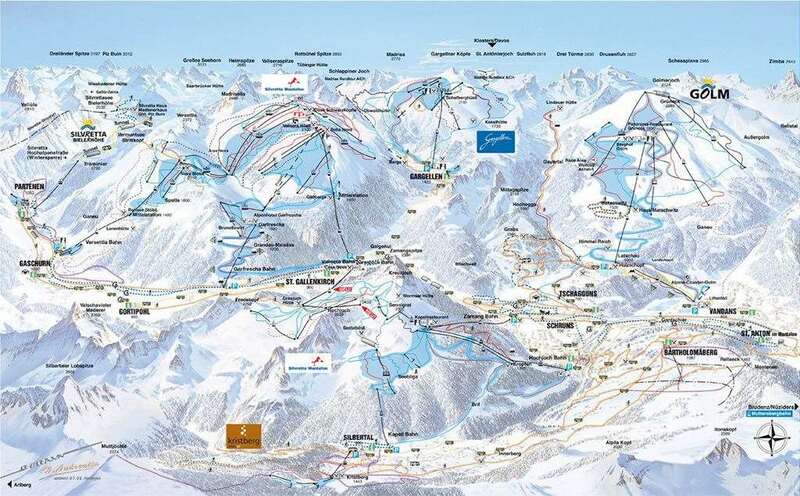 Montafonâ€™s ski pass is an all-in-one ticket for all the valleyâ€™s cable-cars and ski-lifts, the Bludenz - Schruns railway route and the valleyâ€™s post busses. Aktivpark Montafon - Vorarlbergâ€™s biggest sports and leisure park - lies in the heart of Schruns-Tschagguns. Facilities include a tennis hall, covered artificial ice rink, cross-country ski trails, toboggan runs and cleared winter hiking trails, while the wide variety of inns, restaurants and shops ensures pleasant holidays. Evenings are also well catered for in Schruns-Tschagguns with slide-shows, folk evenings and exhibitions, but also more lively aprÃ¨s-ski entertainment in trendy bars and traditional pubs. Superb resort, skiing is truly spectacular. uncrowded, no english,no ques and superbly kept snow.